The first few things that come to the urban mind when one mentions monsoon is waterlogged roads, slush, puddles, and of course, greenery. But if you are a trekker and you stay around Mumbai and Pune, monsoon means gearing up with plans for exploring newer trails every weekend. 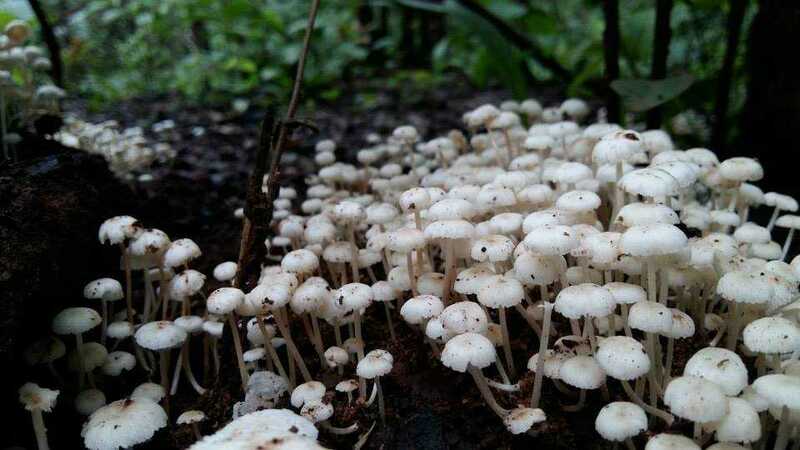 Trekking in Sahyadris during monsoon has become best weekend getaways for me for the past 4 years. Range treks are the best way to venture out on the search for newer trails this monsoon during the upcoming extended weekends if adventure is your forte. Sahyadris offer the best topography for trekkers along with the historical significance of each hill fort and trade route. 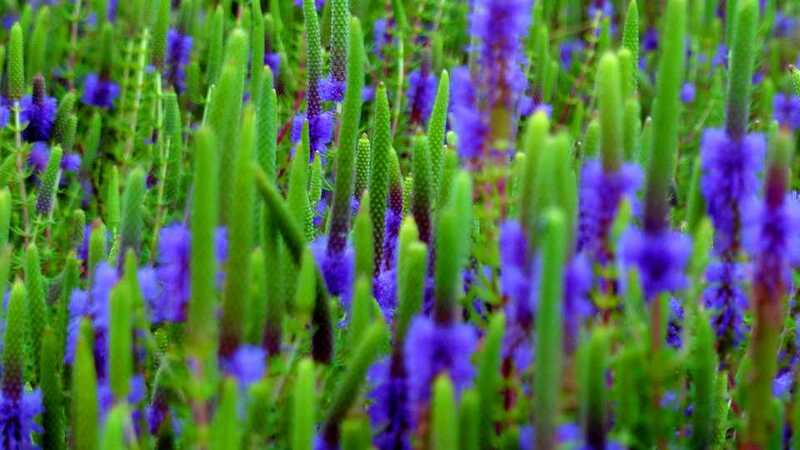 Not to mention the rich flora and fauna of the region that would leave you bewitched. 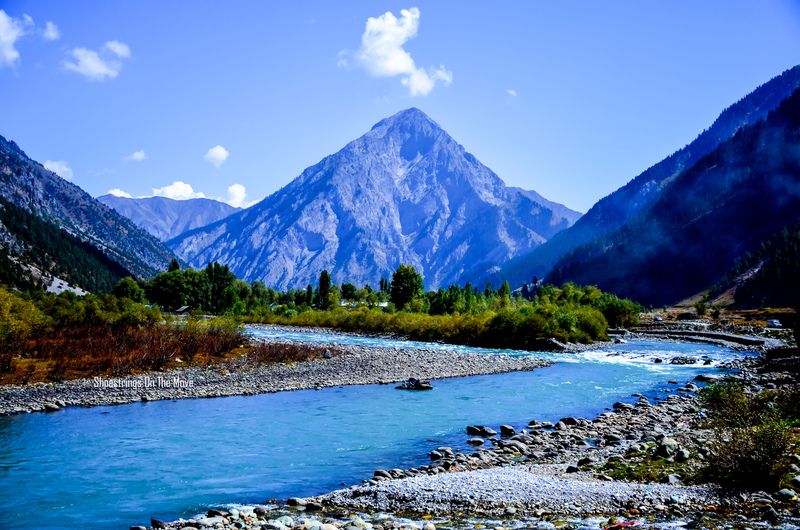 Range treks are the treks wherein you cover a particular part of a mountain range within the span of 2 – 10 days. The number of days is in proportion to the distance that needs to be covered and keeping in mind the difficulty level of the terrain. All range treks demand high endurance levels since you need to trek for anywhere between 5 – 13 hours per day during these treks. Hence, range treks are only recommended for people with good endurance levels. Listing down 5 highly recommended range treks that you should go for this monsoon. I am sure these treks in Sahyadris will make your love for mountains more strong. The routes are given from Mumbai. 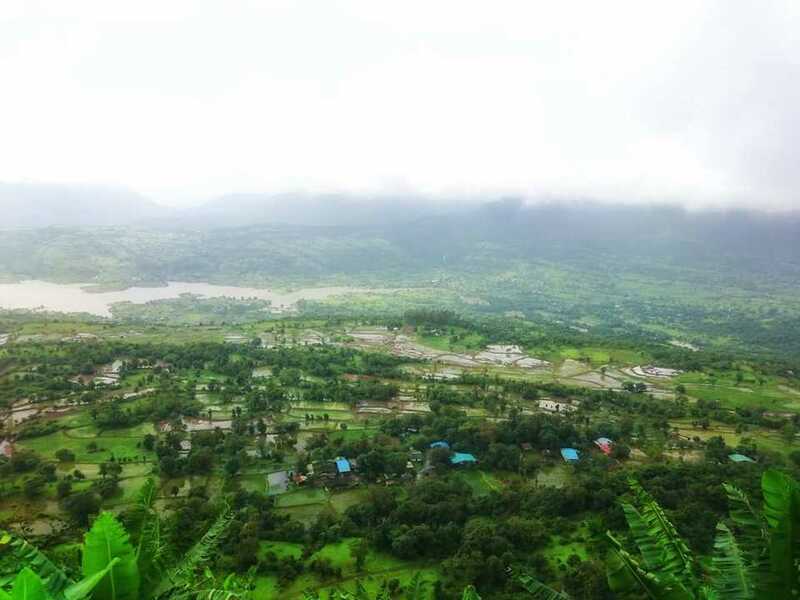 One of the most popular range treks in Sahyadris with best scenic views to offer while you move through the changing landscapes and beautiful valleys that overlook the city. 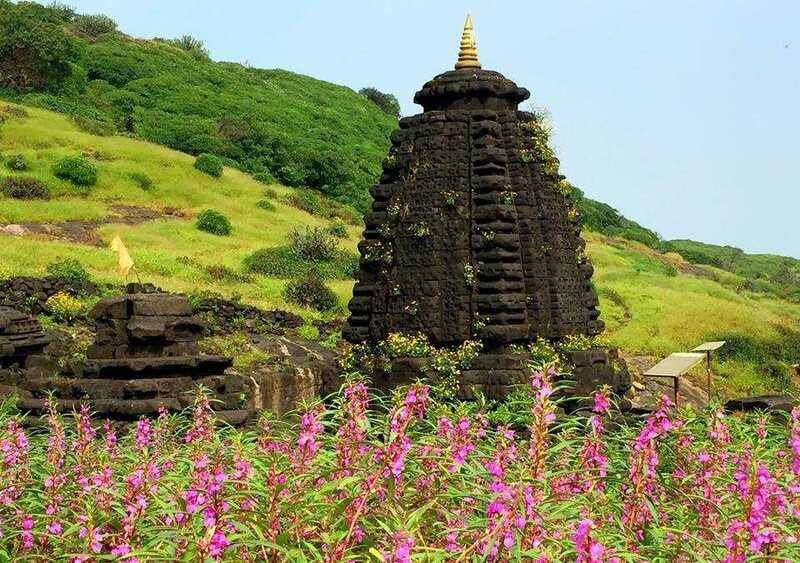 The trek starts from Tungwadi, near Lonavala, which is the base village of Tung fort. Day 1 of the trek is relatively easy as you traverse from Tung fort towards Korigad via Peth, Shahapur. The entire hike takes around 5- 6 hours to be completed till you reach Tailbaila village. Day 2 demands the highest endurance levels during this trek right from the start. An arduous hike of 6- 7 hours takes you to top of Sudhagad via Mahadarwaja route after traversing through Savashini ghat. You spend the night on top of Sudhagad fort. The experience of traversing through Savashini ghat is one of its kind with breathtaking views of Tailbaila, Sudhagad and Navghar dam. Last day involves an easy descend from Sudhagad to Thakurwadi via ladder route and reach Pali (base village of Sarasgad). The distance from Thakurwadi to Pali is covered using local transport. 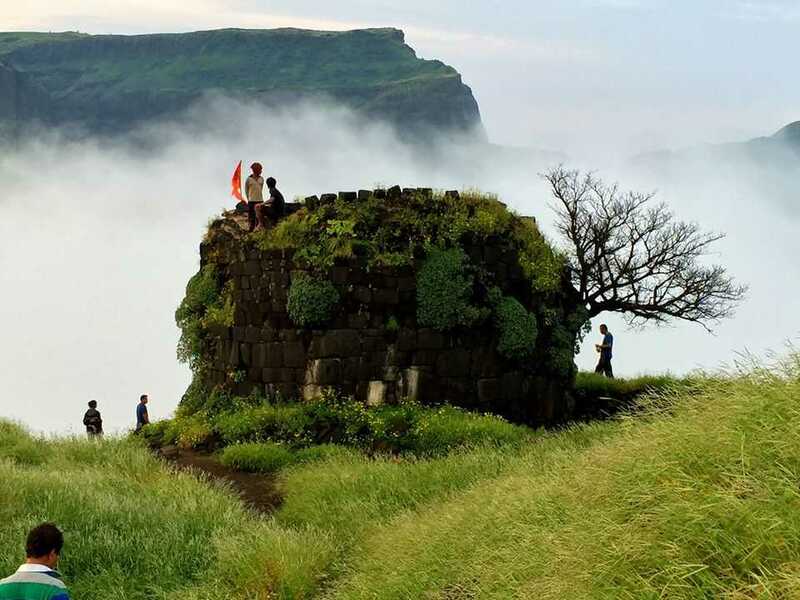 A hike of 1 hour leads you to the top of Sarasgad. You may wish to explore the Ganesh temple in Pali before the start of the trek. Spend some time exploring the fort and descend. The entire range trek from Siddhagad to Bhimashankar is within the Bhimashankar wildlife sanctuary region. This is a moderate trek except that the climb to Siddhagad is a tad bit steep and demands good endurance levels. The trek can be completed in 2 days with Day 1 being strenuous. Day 1 of the trek takes you from Uchale base village to Siddhagad Balekilla. Descend from Siddhagad Balekilla is followed by climbing the Damdamia hill and crossing Bhattiche Raan (a huge plateau on the sanctuary). 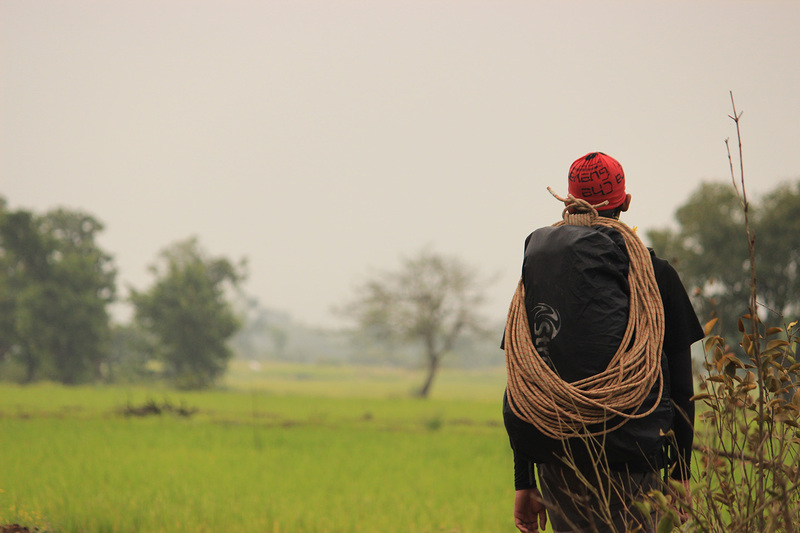 The walk from Bhattiche Raan takes you to Kondval and from here you are transferred to Bhimashankar via local transport. You trek for around 10- 11 hours on day 1. Day 2 is easier on your feet as it includes only descend from Bhimashankar to base village, Khandas. The overall trek for last day is completed within for 3-4 hours. Do not forget to explore the Gupt Bhimashankar when on this trek. 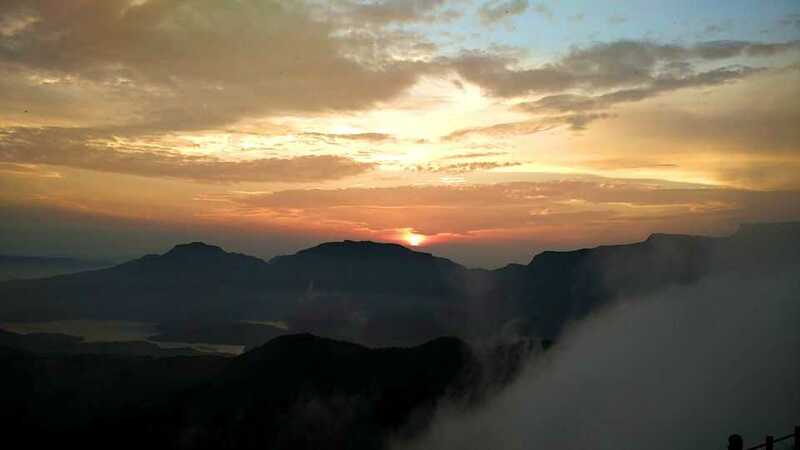 The entire route of this trek is simply mesmerizing and filled with thrills as you get to traverse through valleys, cross mountain pass, almost swim in a river, walk across the paddy fields, witness ancient architecture and if lucky, you may also get to view the “Indravajra” (circular rainbow) from top of Konkankada (Konkan cliff) at Harishchandragad. 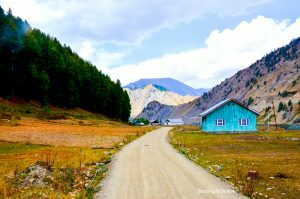 Day 1 trek starts from Samrad, the base village of Sandhan valley. 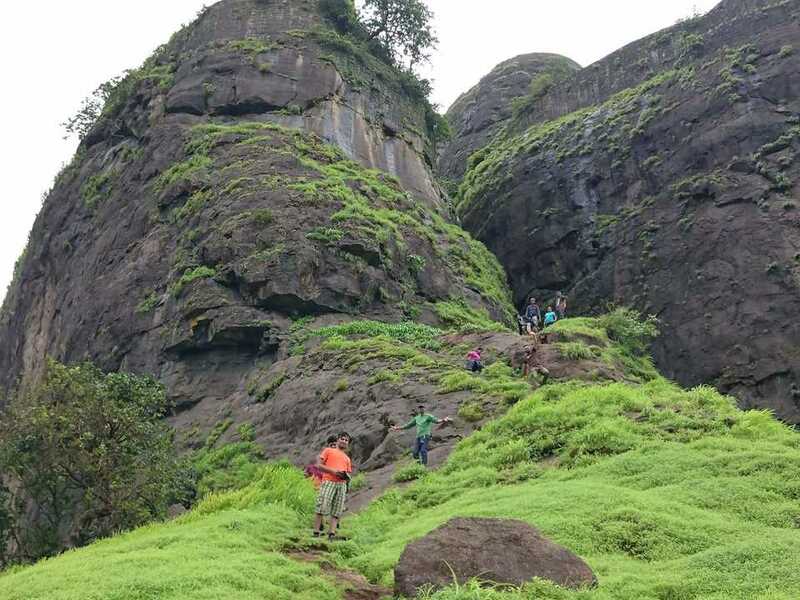 You climb to the Sandhan cliff and trek to Ratangad via Trimbak Darwaja (gate) via the Nedhe (a needle hole on a rock). The day 1 is easy and the trek can be completed in 3 hours. You stay put on top of Ratangad fort for rest of the night. 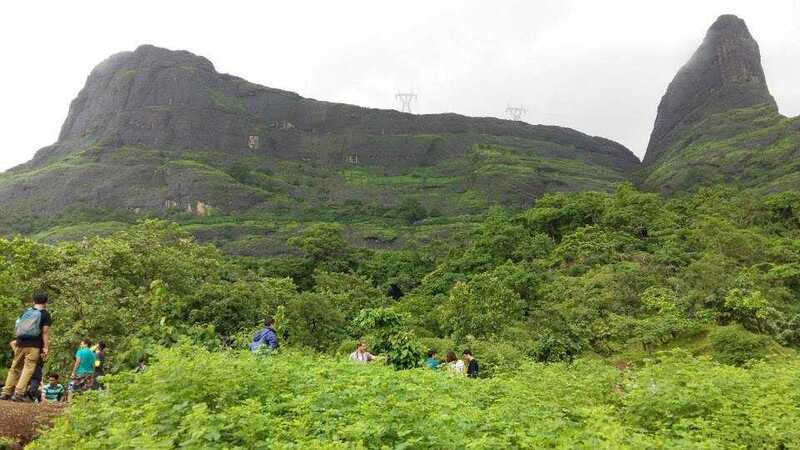 Day 2 is most arduous as you start descending from Ratangad via Ganesh darwaja early morning, cross the Katrabai mountain pass, head towards Kumshet for lunch and also need to cross the Mula river. 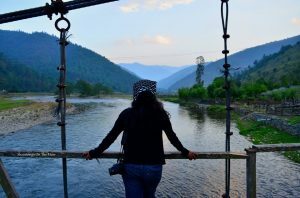 The water currents in the river are strong during heavy showers and you might see yourself crossing the river with the help of ropes and by making a human chain. This part of the trek is most thrilling. After you cross the Mula river, walk towards Pethechiwadi. You are transported to Pachnai (base village for Harishchandragad) by local transport. So, you trek for close to 8 hours on day 2. The last day starts early morning with ascending towards Harishchandragad via Pachnai. The ascend via Pachnai is the easiest route to trek to Harishchandragad and can be completed in 1 ½ to 2 hours. Explore the Shiva temple on top which is also considered to be an 11th-century architectural gem, built as per Hemadpanthi architectural style. Pay a visit to the 5 ft tall Shivalinga that’s submerged under water inside the Kedareshwar cave and is supported by a single pillar since rest 3 pillars have already broken. Do not miss exploring Konkankada and you might just be lucky to have a glimpse of “Indravajra” (the circular rainbow- the Brocken Spectre phenomenon). You descend either via Khireshwar or Pachnai as per the convenience of the group. The trek from Lonavala to Bhimashankar is actually on an ancient trade route that passes through steep falls of Konkan valley, dense meadows and flower beds, huge plateaus, numerous streams, waterfalls and trails where you can get lost if taken a wrong turn. One of the most arduous and difficult range treks, but also one of the most beautiful trails you may experience while trekking in the Sahyadris. Day 1 is the most arduous as you trek for 13 long hours starting from Lonavala to Valvand village bypassing Kondeshwar and reach Kusur plateau. The Kusur plateau is a huge plateau and is the highest point on this route. It is here on this plateau, that one tends to get lost since there are several trails but not one trail is marked. So, one wrong turn and you lose hours in figuring out the right path. The first-day trek ends in Padarwadi village. Day 2 takes you through lush green fields of Padarwadi to Bhimashankar. The Bhimashankar wildlife sanctuary is a marvel on its own during monsoon due to the unparalleled beauty that surrounds. It takes around 5- 6 hours to complete the trek. You may either choose to return from Bhimashankar by local transport or descend by foot, which requires an additional trek of 3- 4 hours. This is one of the most challenging among range treks in Sahyadris due to the tough terrains that you need to trek through. This trek takes you through most interior parts of Sahyadris while you traverse through trade routes, mountain passes, and forts, covering a distance of 95 Kms within a span of 4 days. Day 1 is a strenuous trek for 13 long hours. You see yourself trekking from Vaishakhare, base village of Naneghat to Amboli. Naneghat is a mountain pass that served as an old trade route between Kalyan and Junnar during the Satvahana reign (250 BCE). The trail that leads to Naneghat is one of the best trails that you may experience especially during monsoon. Trekking to Jivdhan fort from Naneghat is followed by traversing towards Amboli sums up your day 1. Day 2 takes you to Dhakoba fort from Amboli. It is from this fort that you get a 360-degree view of the Malshej region wherein you can spot Naneghat, Ahupe ghat, Durg fort and Gorakhgad fort and a spectacular view of vertical cliffs of Konkan area. 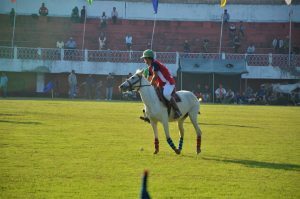 On this day, you cover 2 forts, Dhakoba and Durg. 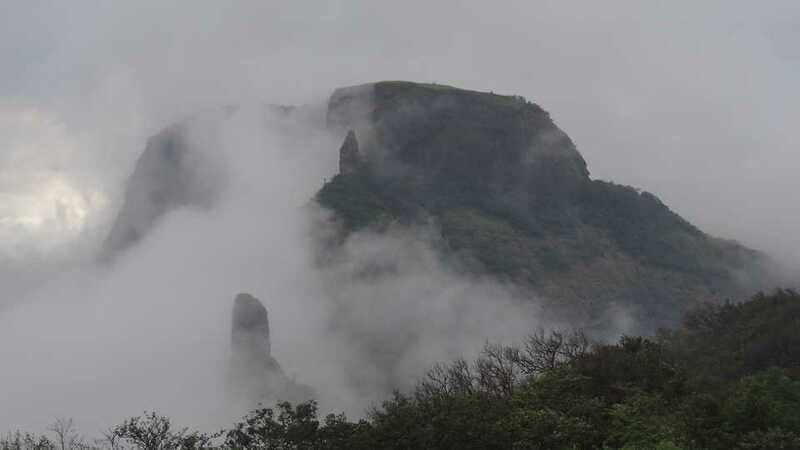 The trek from Amboli to Durgwadi, the base village of Durg fort, is completed in 8 hours. The third-day trek takes you to Bhimashankar via Ahupe ghat. Day 3 can be completed in 8 hours as you reach Bhimashankar by dinner time. The last day is much easier since it includes descending from Bhimashankar via Ganesh ghat and can be completed in 3- 4 hours. P. S – Trekking is a disciplined activity. All the above-mentioned treks must be done under the guidance of experienced trek leads. 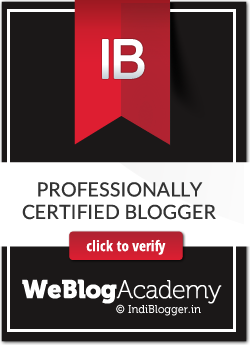 I would love to read more posts about trekking in general on this wonderful site of yours! Cheers!